Check back for updates on new Salon Dinners! 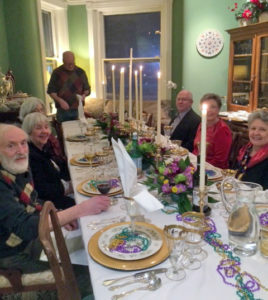 Salon Dinners are a signature Gala offering where attendees bid to break bread with fascinating speakers in distinctive Capitol Hill homes. Amount of seats varies; reservations are $75–$100 per person. This year we welcome you to meet this stellar group of salon guests: Mike Ambrose, adventurer; Mike Canning, movie reviewer and author; Reverend Susan Flanders, author; Adam Garber, Director of Video in the Obama White House; Tom Getman, advocate for interfaith approaches; Laurie Gillman, founder of East City Bookshop; Robin Givhan, The Washington Post fashion critic; Michael Hash, health policy analyst and advocate; Susan Page, journalist and author; Elissa Silverman, DC Councilmember; and Dan Tangherlini, CFO of the Emerson Collective. Read more below. Speakers are still being added, so check back often. 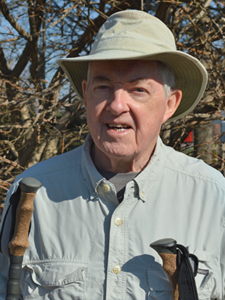 Spend an evening hearing tales from Mike Ambrose from his 70th birthday climb up Mount Kilimanjaro or his pilgrimage along the Camino de Santiago. His quest for adventure on foot has taken him all over the world—on the Jomalhari Trek in Bhutan, to Iceland, to China, to Antarctica, Wales, and Portugal. He will tell you about the weird places he spent the night, eccentric fellow hikers, and unexpected beauty. Mike has now climbed the highest peaks in 41 states in the US, and has one more that he believes he can scale. A prize for the guest who can name the 9 “highest peaks” he has not climbed. Bring your own hiking tales to share. 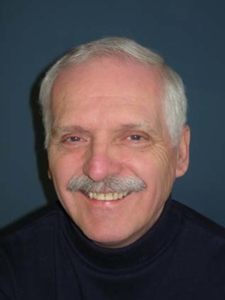 Mike Canning, movie reviewer for the Hill Rag for the past 25 years, will divert Salon attendees with tales of a film critic, discussing the screening experience, which films to review (or not), writing to deadline, and other aspects of the reviewing life. Mike also writes on public affairs and politics and on the depiction of Washington politics and the US Congress in American feature films. His reviews and other writings led to a commission for a book on DC movies, Hollywood on the Potomac: How the Movies View Washington, DC, a signed copy of which will be distributed to all Salon guests. 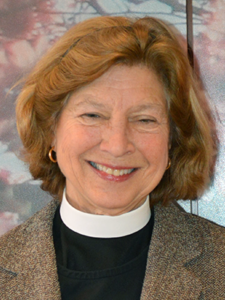 Twenty years after graduating from college, Susan Flanders was ordained an Episcopal priest. Her first real job was Associate Rector of St. Mark’s on Capitol Hill, where she served 12 years. She grew to love studying sacred readings, finding the wisdom in them for her sermons, and their meaning for the church members she counseled. She just published If I Ever Lose My Mind about the spiritual and practical issues with dementia, care giving, and end of life. Now retired, she works with members of St. Columba’s Episcopal Church on these topics and will lead a lively discussion at this dinner. 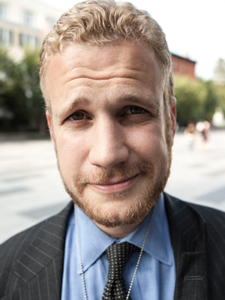 Adam Garber was the Director of Video in the Obama White House, digitally recording events from 2009 to 2017. Video was a key component of both rapid-response communications and coordinated policy roll-outs under that administration. He helped produce, shoot and edit over 350 episodes of the series “West Wing Week”. Adam traveled to 26 countries and across the USA with the President and Vice President, documenting their journeys and producing content in real-time. He also was tasked with producing all the video pieces that were featured in the Becoming video that is touring the globe until the fall of 2019. He is married to Katie Garber, the Capitol Hill Village’s social worker. Tom Getman knows—after four decades of work in the Middle East and Southern Africa. For 35 years he’s advocated a broad approach to social justice. Tom knows the need for interfaith approaches to better inform Americans’ perceptions in these war zones… to embrace “the moral emptiness” and expose inequalities in the relative strength of factions there. 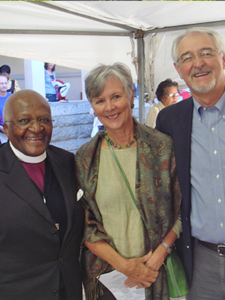 Tom and wife Karen have taken hundreds of ordinary citizens to the sites and partnered with well-known religious, political, and UN figures, such as Bishop Desmond Tutu, who brought their special insight and experience to the situation. Join Tom (and his mystery guest from Israel/Palestine) to hear “on the ground“ encounters and understand current pivotal issues. 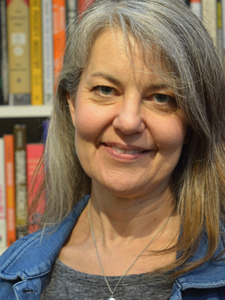 Spend an evening with Laurie Gillman, founding owner of East City Bookshop. Opened in April 2016, the shop has quickly become a hub of literary excitement on Capitol Hill, complete with author readings, book clubs, school events and social gatherings. Laurie will give you an inside look at the how, who, and why of opening East City Bookshop, and what she’s learned during her venture. She'll also share upcoming books and events she's most excited about. Laurie has lived on the Hill for decades. Many Capitol Hill residents know her from her years as the Capitol Hill Arts Workshop (CHAW) Board Chair and as CHAW’s Development Director. 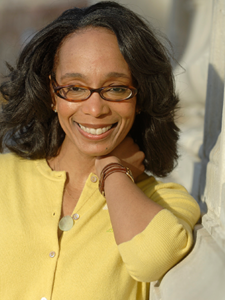 Come to an evening with the Washington Post’s Fashion Critic Robin Givhan, a 2006 winner of the Pulitzer Prize for criticism, the first time the award was given to a fashion writer. Her “witty, closely observed essays that transform fashion criticism to cultural criticism” (quoting the Pulitzer committee) are evident in her coverage of Fashion week in New York and Paris, and in her stories about public figures on their fashion choices ranging from Melania, Nancy, Michelle, Lady Gaga, and the President himself. Robin’s stories have also appeared in Newsweek, Daily Beast, Vogue, and the Detroit Free Press. In addition to fashion, Robin covered Michelle Obama during the first year of the administration. Join Michael Hash, health policy analyst and advocate, in the home of Gail Kohn, Age Friendly DC coordinator (and founding Executive Director of Capitol Hill village), and her husband Donald Kohn. Michael learned the nuts and bolts of health legislation and policy on the staff of the legendary Henry Waxman and went on to serve as the Deputy Director and Acting Director of the Health Care Financing Administration (now CMS) in the Clinton Administration. In 2009, he joined the Obama White House staff working to enact the Affordable Care Act, moving next to HHS to help lead implementation of the ACA. Early in his career as the former chief Washington lobbyist for the American Hospital Association, he gained insight to the challenges facing the private health delivery system. 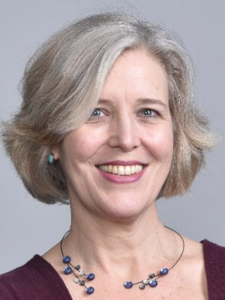 Since 1990, Anne Midgette has been reviewing classical music for The New York Times and now for The Washington Post, where she serves as the paper's chief classical music critic. She lived for 11 years in Munich, Germany, reviewing opera, music, and art throughout Europe for The Wall Street Journal, Opera News, and other publications. Midgette has written two biographies: My Nine Lives: A Memoir of Many Careers in Music (with Leon Fleisher); and The King and I: The Uncensored Tale of Luciano Pavarotti's Rise to Fame by his Manager, Friend, and Sometime Adversary (with Herbert Breslin). She is a 1986 graduate of Yale University, daughter of Willard Franklin Midgette, American painter and printmaker. She is married to composer Greg Sandow. 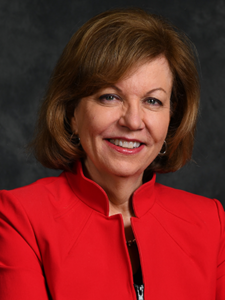 Susan Page is the award-winning Washington Bureau chief of USA TODAY, where she writes about politics and the White House. She has covered six White House administrations and ten presidential elections, and she has interviewed the past nine presidents (three after they left office). She has reported from six continents and dozens of foreign countries. She is a familiar analyst on TV, including appearances on ABC’s This Week, CBS’ Face the Nation, CNN’s State of the Union, Fox News Sunday, NBC’s Meet the Press, PBS’ NewsHour, MSNBC’s Morning Joe, MSNBC’s Hardball with Chris Matthews, Fox News Special Report with Bret Baier, and others. While working on her recent book, The Matriarch (release date April 2 by Twelve Books), she had five extended interviews with Barbara Bush during the final six months of her life. In their final meeting, Barbara Bush gave Susan extraordinary permission to read the personal diaries she had been keeping since 1948. Susan has now embarked on a biography of another remarkable woman, House Speaker Nancy Pelosi. Guest will receive a copy ofThe Matriarch. 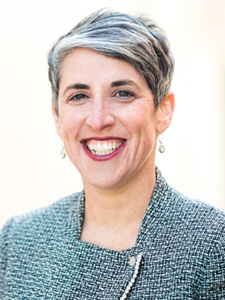 Come engage with Councilmember Elissa Silverman in a fast-moving exploration of the many issues she has encountered in her DC career. She worked first as a journalist (City Paper “Loose Lips”; Washington Post, local reporter on the night shift), then as an analyst and advocate for the D.C. Fiscal Policy Institute and the D.C. Public Trust. Steeped in knowledge of issues of labor, good government, and issues of race, poverty and economic justice, she has brought this perspective to the DC Council since being elected in 2014 and re-elected in 2018. 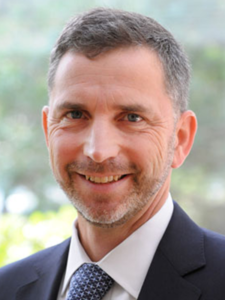 Spend a lively evening with Capitol Hill’s Dan Tangherlini, formerly DC City Administrator, head of Metro, GSA Administrator and currently CFO of the Emerson Collective, founded by Laurene Powell Jobs, widow of Steve Jobs. AND he now hosts the Gov Actually podcast. 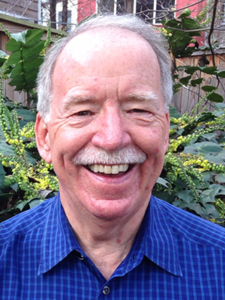 Hear Dan’s observations on current issues for the District, its relationship with the Federal Government and neighboring jurisdiction and his current work with the Emerson Collective on issues in education, immigration, health, social justice and the environment. Dan’s engaging stories and insights on team building, organizational management and problem solving in government and the private sector should provide an interesting evening for all. Who are the fascinating people that you know whom you love to hear talk about ideas, politics, arts? How about proposing them for a salon dinner? Host a Salon Dinner? Can you host a salon dinner — food, fun and chairs for a crowd to hear and chat with our special guests? Email Mary Procter. Email our Mission Commander, Bruce Brennan, or call Molly at (202) 543 1778.